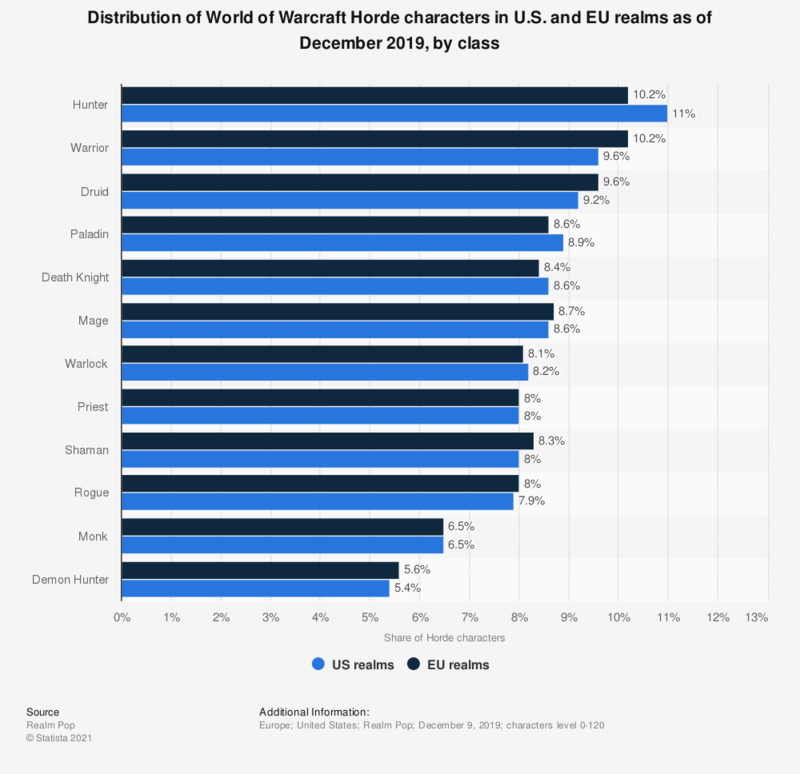 The statistic shows a distribution of the Horde classes in the online computer game World of Warcraft as of February 2019. Approximately 8.8 percent of all Horde characters in U.S. realms were Death Knight. Overall in terms of class the majority of players chose Hunters, and as for race, the most popular choice in the series was Human. For this analysis, 12.1 million characters on US realms and 11.4 million characters on EU realms were recorded. The data were collected by using Blizzard's Battle.net API. The figures that do not total to hundred percent are most likely due to rounding of the individual components.